One of best locations in Fireside! Within steps from community center without backing to it! 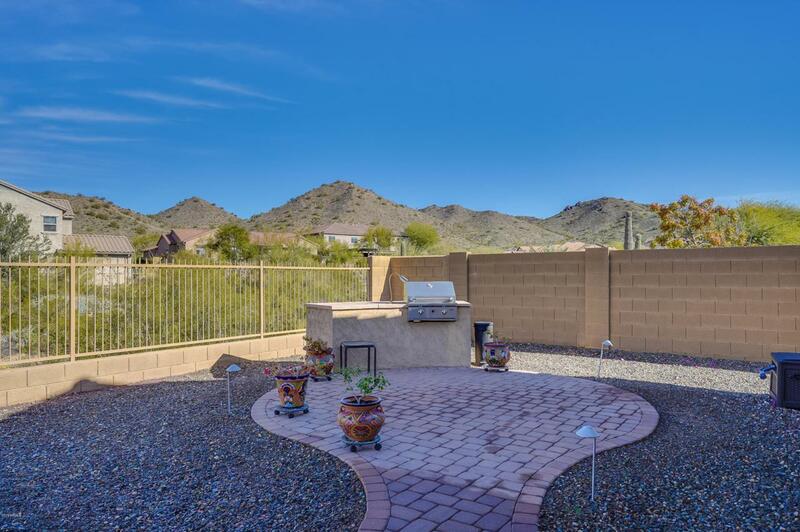 This corner lot offers Northern views of mountains with backyard view fencing to wash and easy trail access. Paid-off solar system for low electric bills! Functional floorpan provides flexibility and cozy feel, featuring family room opening to kitchen, formal dining room, office/den, large master suite & bath, in-suite bathroom in bedroom 2 and jack & jill bath between bedrooms 3 & 4. 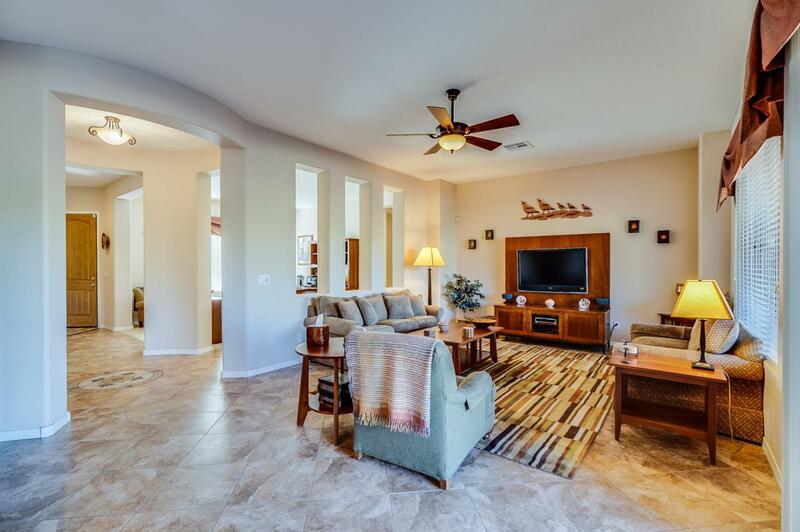 Home is nicely appointed with tile in traffic areas, plush carpeting. 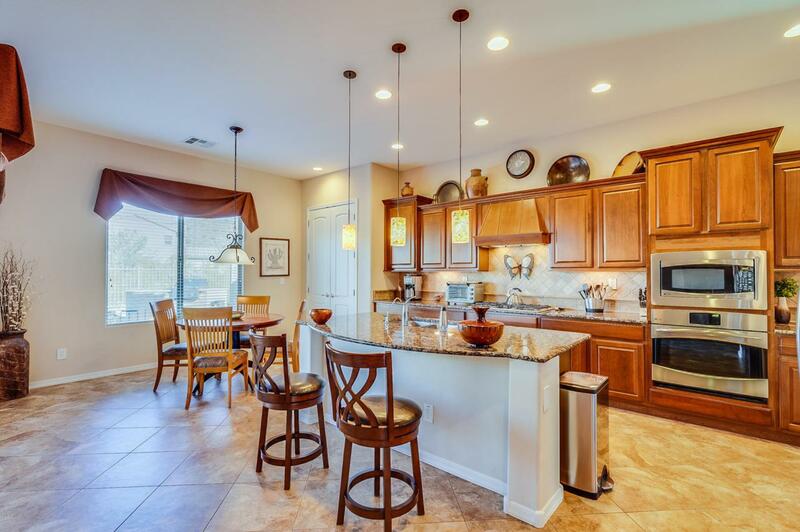 Open kitchen offers large granite slab island, gas cooktop, wall oven, tiled back splash and additional cabinetry. 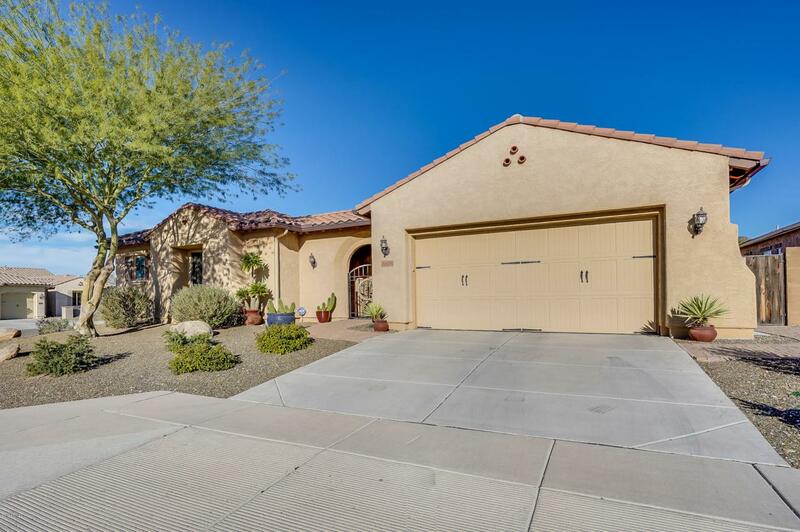 Other features include tandem 3 car garage, private courtyard, additional storage room, large covered patio and built in BBQ grill.